Birthday’s only happen once every year so why not make it extra special and send an ecard? Our ‘Birthday Cake’ design is great for this reason. Choose and personalise your birthday ecards easily and quickly with our website. Birthday corporate ecards are a great marketing tool for your business as they allow you to target individual customers and make your business more personal. With our birthday ecard you can add your message to the cover page, where the image is placed. Flickering candles placed on the top of a birthday cake and uplifting music accompany this design. Incorporate your logo into the second page or add a unique birthday message. Include an optional fourth page which can include signatures, website links, contact details for your business and even your company slogan. The possibilities are endless with an ecard and there are much more innovative features than a regular birthday card, which may even get lost in the post! 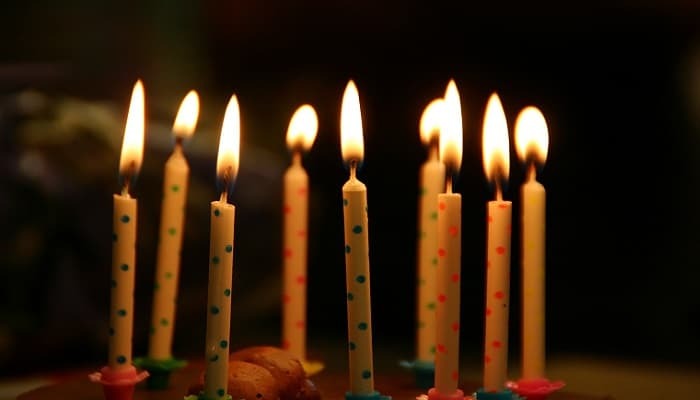 Make birthdays even more special and remind friends, relatives or customers that you have remembered their special day. Each page of our ecards are uniquely designed to fit in with the occasion. So not only do you get a single page ecard, you can add up to four pages including messages, branding and much more. Why not order yours today and make someone’s birthday really special? If it’s the Christmas holiday season you are more inclined to use ecard for then please be sure to have a look at our electronic Christmas cards for business later in the year.